Lucy Cooper isn’t looking for love when she finds it—or slams into it, rather—during rush hour traffic. But her heart, like her car, is a total loss the moment West Adler steps out of his truck to inspect the damage. West truly is the perfect guy: handsome, funny, rich. The benefactor of not one, but two children’s hospitals. 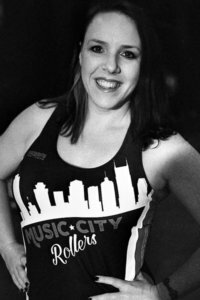 And he’s the main sponsor of the Music City Rollers, Nashville’s championship roller derby team. Bestselling author Elicia Hyder played women’s flat track roller derby with the Nashville Rollergirls under the skater name, eL’s Bells. After a black eye, a broken finger, a severely pulled groin, and two serious knee injuries, Elicia hung up her skates to focus on a safer hobby—writing. She has fictionalized her experience in her latest novel, Lights Out Lucy: Roller Derby 101. 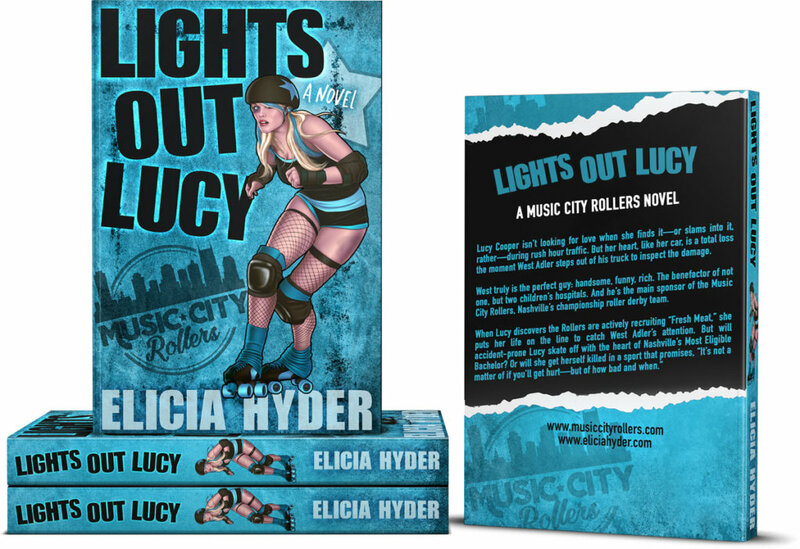 More novels are to come in the Music City Rollers series.  Elicia still lives in Music City with her superhero husband, five (loud) children, and two co-dependent dogs. 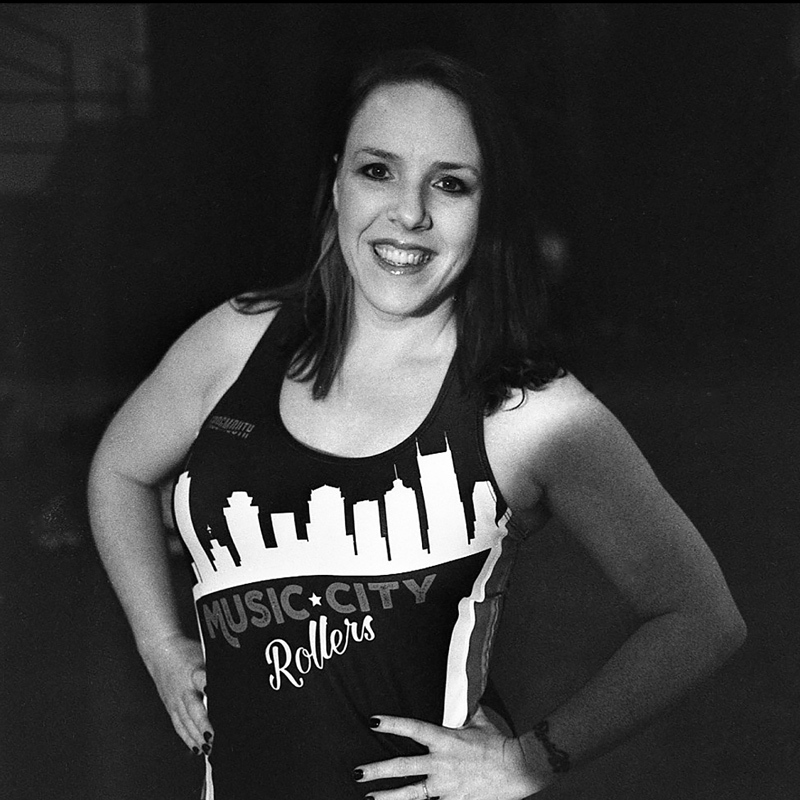 The Nashville Rollergirls were recruiting “Fresh Meat” so I decided to try out for the team. It was amazing. My life was transformed as I became a part of this wonderful derby family. While the sport conditioned my body and gave me an outlet for some pent-up hurts and frustrations, the relationships really helped me piece my broken life back together. Years later, we’re all still friends. 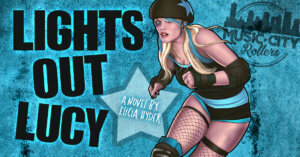 And as for Lady Fury, the legendary skater whose taunt pushed me to join…she works for me now, coordinating reader parties at roller derby bouts all over the world. 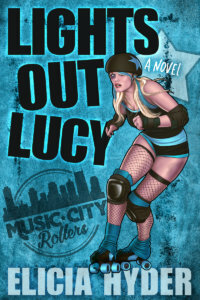 Lights Out Lucy tells the story of a young woman who moves to Nashville for a fresh start following the loss of her mother to cancer. It was actually inspired by my daughter, Frostfire (her derby name), and my own cancer battle. Frostfire was almost old enough to join junior roller derby when I was diagnosed with stage-two Hodgkin’s Lymphoma. I was in the bathtub—probably planning my funeral because that’s what you do when you’re diagnosed with cancer—and I could hear the unmistakable sound of roller skates on the driveway. She was practicing in my old derby skates. 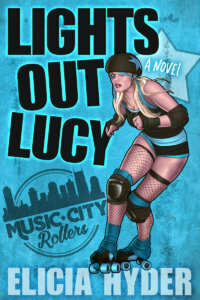 I wondered if she, too, would find her healing in the roller derby world once I was gone. And thus, the idea for the novel was born. Thankfully, now I’m cancer free, and I’m officially a derby mom. She plays junior roller derby. 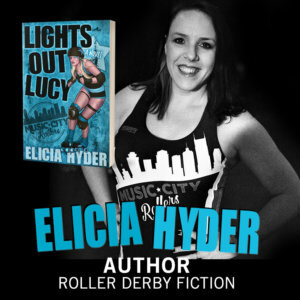 READERS AT THE ROLLER DERBY: In 2018 and 2019, Elicia Hyder will be planning reader parties at roller derby bouts around the world. If you are interested in having her attend your bout (and bring her readers), please contact her team at admin@eliciahyder.com. 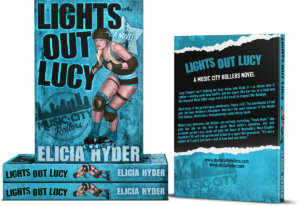 FUNDRAISE WITH BOOKS: Wholesale books (for roller derby teams only) are $7/each plus shipping with a minimum order of 5. Email admin@eliciahyder.com to inquire. Include with your email: Team Name, Contact Person, Phone Number, Website Address, Book Quantity, and Bout Schedule. Please allow 3 weeks for processing and shipping. GET FREE ADVERTISING: Elicia Hyder has hundreds of thousands of readers all over the world. 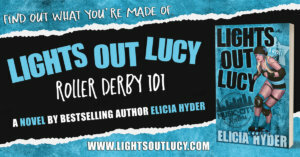 You can easily get some free advertising for your roller derby team by giving her tickets to give away. Simply donate 2 tickets or more to your next bout and send us a graphic. We will handle the rest! Email admin@eliciahyder.com to inquire.  For additional information, interviews, or press releases, please contact admin@eliciahyder.com. Please use any of the following graphics for your website or social media. Contact admin@eliciahyder.com if you need graphics for print.